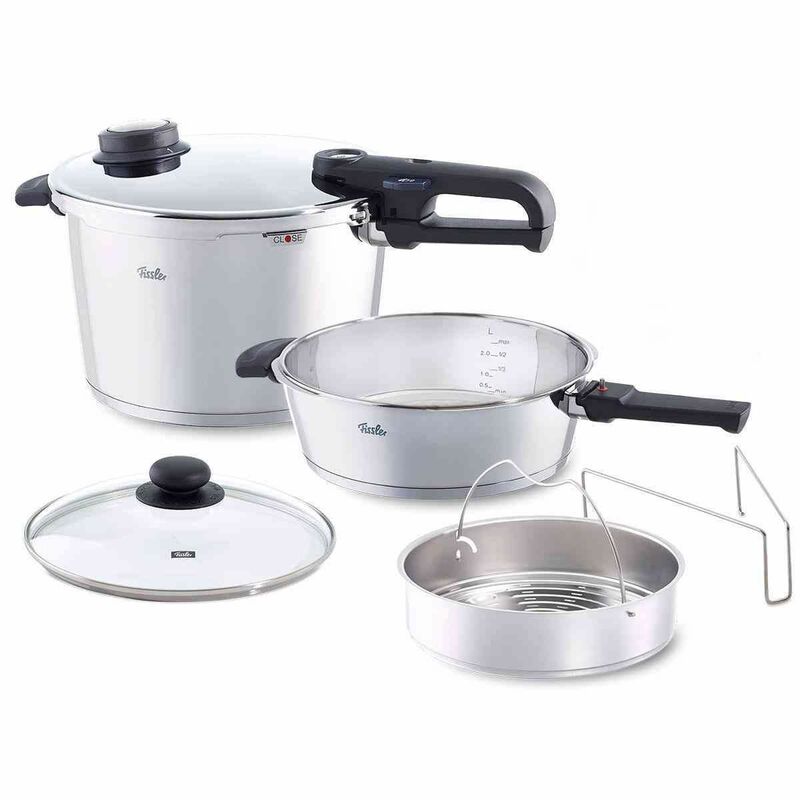 This 6 piece set contains: 8.5qt vitavit pressure cooker, the 4.2qt vitavit pressure skillet, pressure lid, glass lid, perforated insert and tripod. 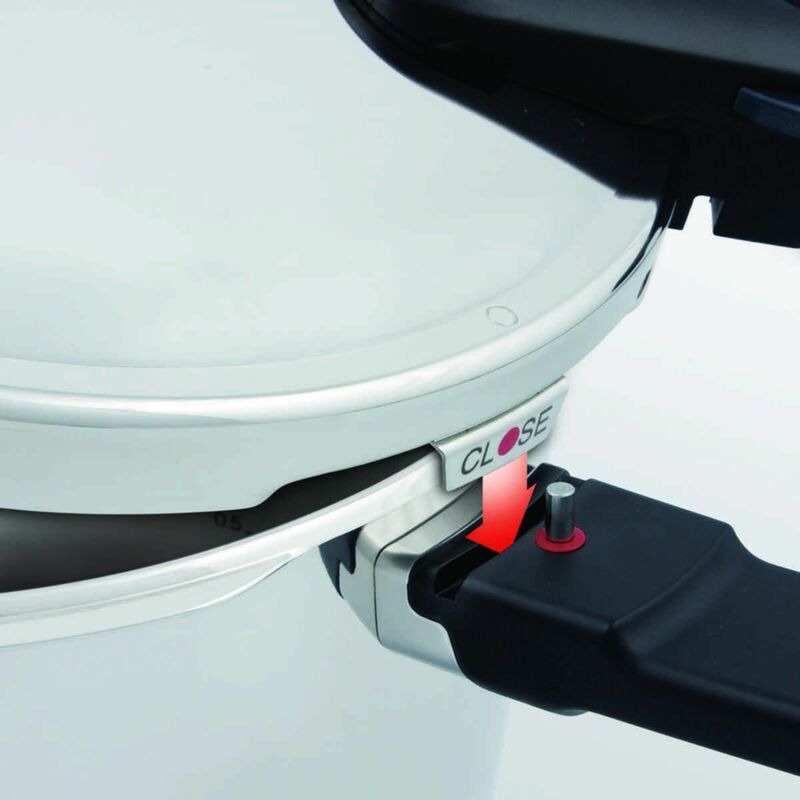 Features include a unique lid positioning aid, three adjustable cooking levels for speed, gentle or steam cooking and a locking lid indicator. 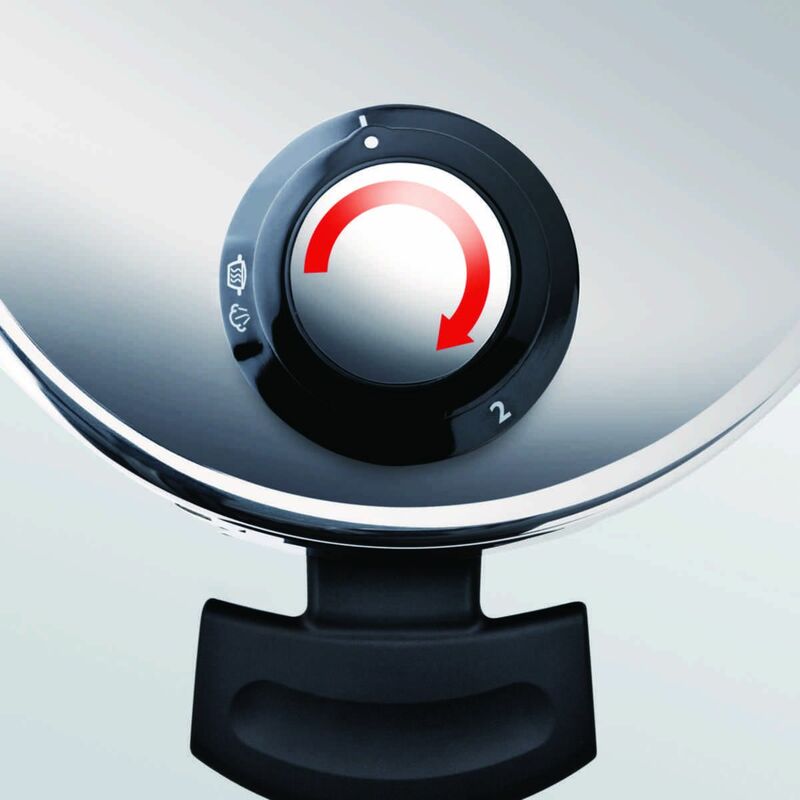 The vitavit pressure control system includes a visual indicator to show when to lower the temperature of the stove at the onset of cooking time or when the temperature in the cooker has become too high. All models are equipped with a measuring scale and a handy steamer insert. 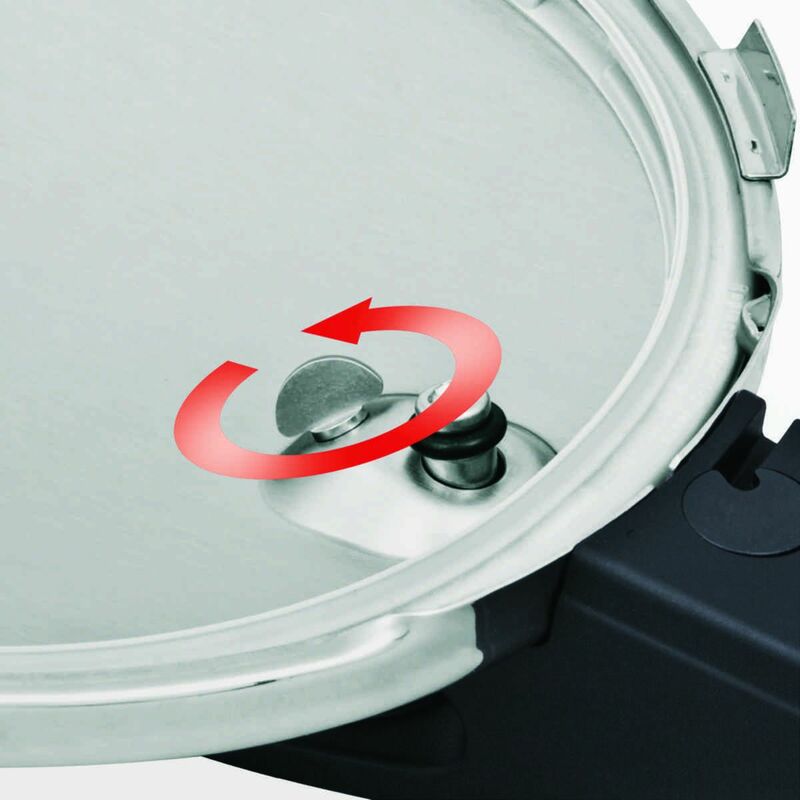 The pressure skillet doubles as the ultimate frying pan, featuring the patented novogrill bottom: a unique honeycomb texture perfect for low-oil grilling, searing and frying. 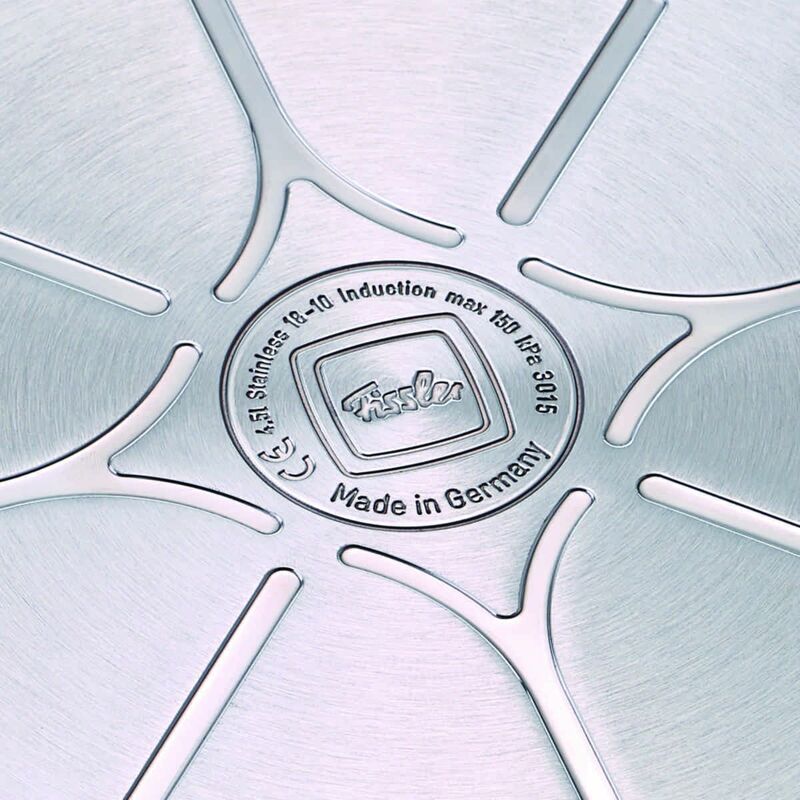 The cookstar all stove base creates optimal heat absorption, retention and distribution, cooking foods better and faster on every stove top. 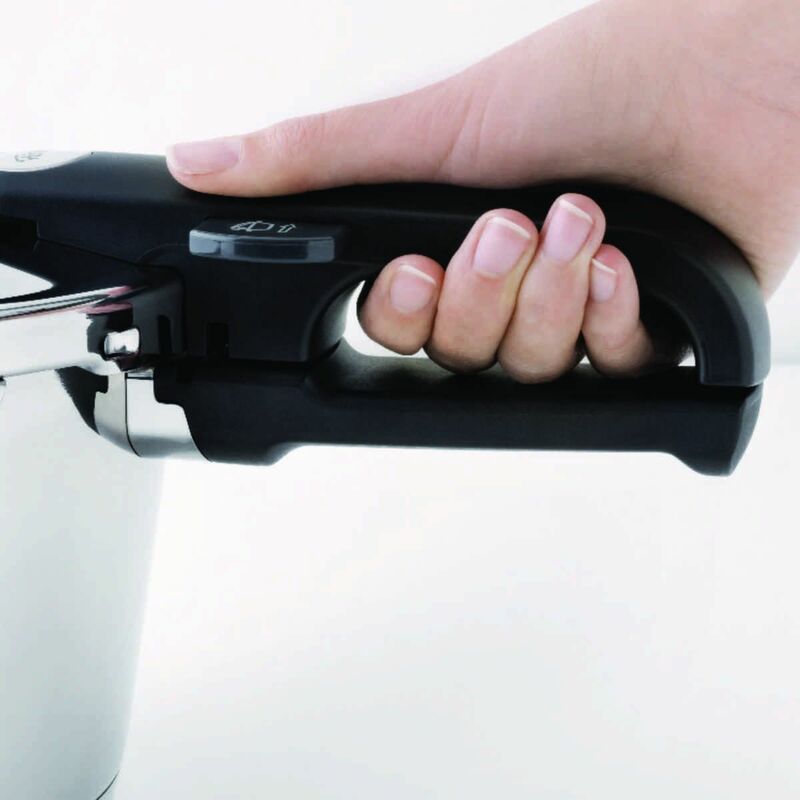 The removable handle makes your pressure cooker easy to clean and dishwasher safe. 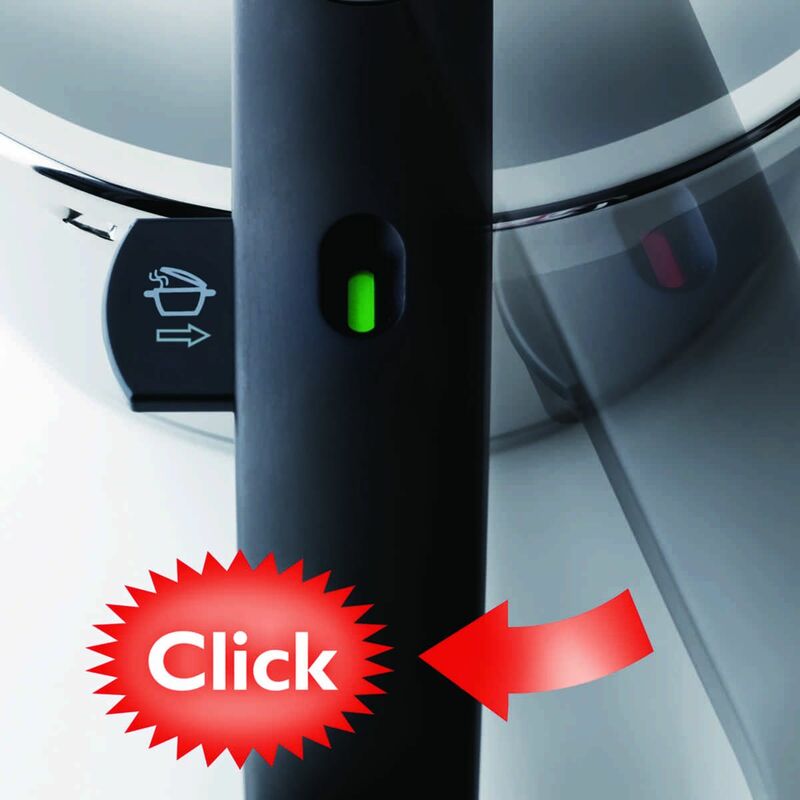 Settings for gentle or fast cooking help make sure your meal is prepared exactly to the point. 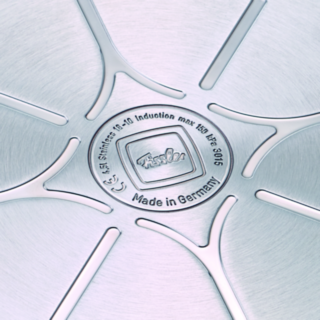 The cookstar all-stove base lies perfectly on the cooktop and guarantees optimal heat absorption, distribution and retention – which helps you save energy with any type of stove or hob. 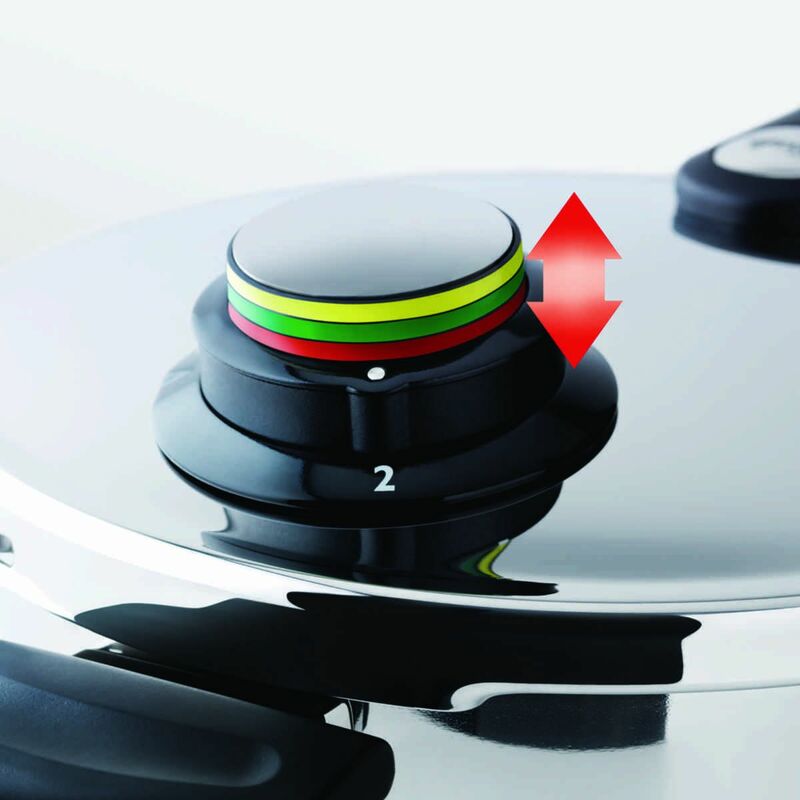 The clear color coding of the traffic light system makes it easier to control the exact pressure required for cooking.